Now we’re getting firmly into the New Year, we’re all looking ahead at what adventures 2019 has to offer! Technology is having an ever bigger impact upon our daily lives, and this is just as true for the world of golf! At The Insurance Emporium, we know that keeping up with the latest gadgets can be a mammoth task. That’s why we’ve come up with this guide to the latest golf tech for 2019! So it’s time to dust off those clubs, head for the course and tee off for some top tips in golf technology! GPS technology, such as that offered by Bushnell’s Hybrid Laser RangeFinder and GPS, brings a whole new level of sophistication to a simple round of golf. 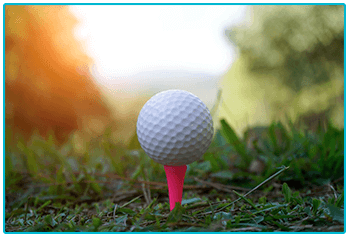 They do the hard work for you, taking the guesswork out of figuring out how far you are from the hole, and the ideal club to use at each stage. The latest models take this to the next level, using a combination of laser and satellite to ensure ultimate accuracy. Never find yourself lost again! There are a range of apps and devices which can help you swing into success in your golf game, but what use are they if you run out of battery halfway through your game? Thankfully, that could be a thing of the past with the latest in bag and cart technology. Models such as those offered by Sun Mountain allow you to charge your phone wherever you are. Equipped with USB ports and a Philips Power Bank, you can run GPS, access apps, and listen to music at any time! Smart technology is increasingly all around us; in our phones, our homes and our cars. It’s now possible to boil the kettle from bed, use your voice to control your sat nav, and measure your temperature with your phone. For 2019, smart technology is coming to the world of golf with the development of smart clubs. Able to monitor performance by logging location, distance and shot tracking, it’s like having a pro coach at your fingertips! Okay, they might not be made of gold, but they can do pretty much everything else! Long gone are the days when a golf ball was merely a golf ball; we now have smart, sensor equipped balls that calibrate and gather information and report back via Bluetooth. They are able to measure distance, direction, speed, impact force, ball rotation, and probably what you had for lunch at the weekend. But beware, if you try and cheat, the chances are they’ll know. With trends in golf changing and growing all the time, there are always new innovations to spice up your game and improve your performance. 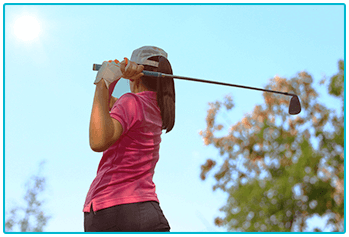 If you’re thinking of investing in some new golfing technology, it could be wise to take out golf insurance. 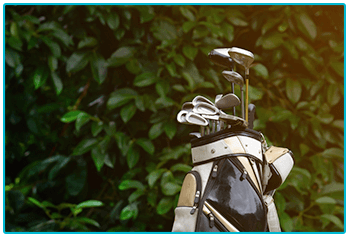 The Insurance Emporium offer up to 30% discount* on Golf Insurance, and offer handy Elective Benefits such as Gadgets and Mobile Phones. That could really put a swing in your step! * The 30% discount is made up of 20% Introductory Discount and 10% Club Member Discount (if appropriate). The 20% Introductory Discount is available for the first 12 premium payments on lunar and calendar monthly policies or one premium payment on annual policies. This blog is in no way sponsored, endorsed or administered by, or associated with Bushnell or Sun Mountain.